Experts agree that LGBTQ homeless youth in South Florida are invisible, which makes them a particularly vulnerable segment of the population. They aren’t standing on the side of the road with hand-painted signs, they rarely congregate among homeless adults, and they learn to stay off the streets during the day to avoid the authorities. Many simply spend most of their days securing a place to sleep in the evenings. If there is one safe space for LGBTQ youth, it’s SunServe. If there’s one person who leads them, it’s Mandi Hawke. Hawke, SunServe’s Director of Youth Services, leads a team that gives LGBT teens a safe space in the community. They have weekly youth groups, an annual Youth Prom, Summer Field Days, Movie Nights and have a Youth Leadership Council. Even with how much SunServe offers, Hawke believes there could always be more help from the community. It’s young people that face some big challenges with affordable housing, steady income and employment. In the future, though, Hawke thinks it can and will get better. Lost Opportunity or a Wake-Up Call? 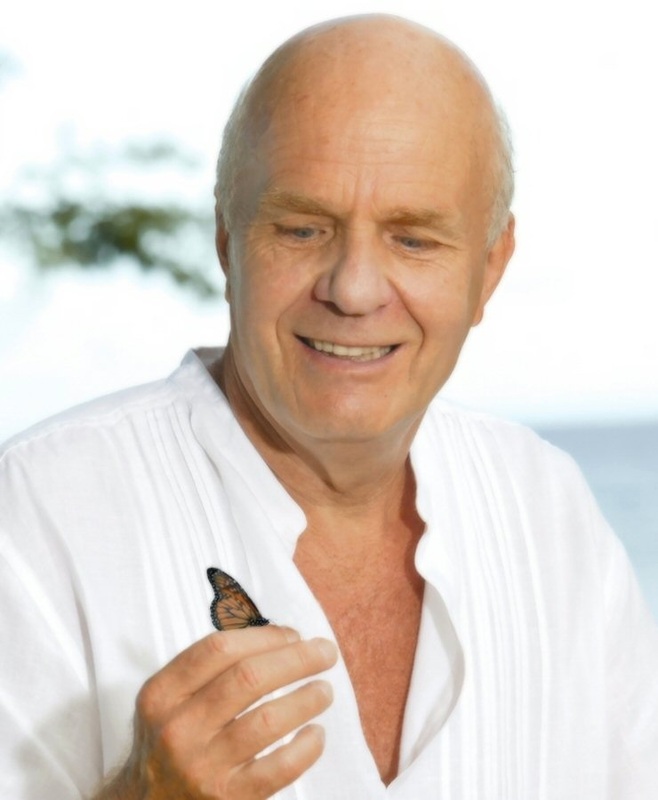 There are many people who have inspired my path of personal growth, but none as profoundly as Dr. Wayne Dyer. When I first discovered my passion and purpose in life it was connected to words of wisdom and inspiration spoken by Dr. Dyer. For over ten years I have listened to audio recordings, watched videos of his seminars, read his books and even was honored to receive a gift to attend one of his seminars here in Ft. Lauderdale. I’ve had a plan in the back of my mind to see him again and walk up, shake his hand, thank him for his profound authenticity and vulnerable sharing of himself to the world and give him a copy of my book, PROUD. Several years after I began following his work, I found out I went to school with a few of his daughters, while I was not close to them I remember their names, Skye and Serena. My uncle told me he and his family used to attend the church we grew up attending. In many of his books and speaking engagements he shared about his experience as a child growing up in the foster care system and how he never let it hold him back. His stories of struggle and overcoming were part of what inspired me to become a foster parent. When I found out that he passed away today from my friend who gifted me the tickets to see him several years ago, my initial reaction was one of devastation and sorrow, tears instantly welled up in my eyes. This person, whom I never even had the opportunity to physically talk to had somehow managed to touch my soul and inspire me to be a better person. So much so that I wanted to model my life after his, I wanted to be able to touch, move and inspire people with my words and the vulnerable sharing of my life. At that moment I felt like I had lost my opportunity to say thank you, I waited too long because I needed to have just the right time to finish my book, gather up the courage to put myself out there and I allowed my fear to win. As tears stung my eyes and I gazed upon the Florida sky, the reality of the impermanence of this physical life sat heavy in my heart. Time does not stand still for anyone, regardless of their impact on the world. Dr. Dyer at 75 lived a tremendous life, inspired millions, enjoyed the pleasure of self-made abundance and spoke constantly of the love for his family. I know he died with peace in his heart. I have a passion and purpose to inspire others aching to get out yet there are also mountains of excuses that seem to always get in my way. Today, in my grief I remembered why Dr. Wayne Dyer inspired me so much, he never let his excuses get in his way, he could have let his circumstances hold him back yet he did not. He pushed through his resistance and with a truth and braveness few have he then wrote about it as a way to share his growth with others. Dr. Dyer, thank you for everything you were strong enough to share, allowing us to learn through and with you. Today I lit a candle for you and while I was not able to say thank you in person I am sure your spirit knows, you have inspired my life in so many ways. Namaste. Today the Supreme Court rules in favor of #love. All 50 states have marriage equality now! Big Win for America! On the day I stopped dancing we were out at a club, having fun, dancing in a big group and laughing. After a little time I went outside to cool down and talk to some friends, then it happened, the snicker and laugh from the person I was dating at the time “haha, you dance like a white girl.” Like this was the worst thing you could do, indicating they felt I had horrible and atrocious dancing skills. This wasn’t the first time I had heard this before, some other people I called friends had told me that before too. Mind you, the friends that told me this were not dancing themselves, they sat on the sidelines watching others have fun. 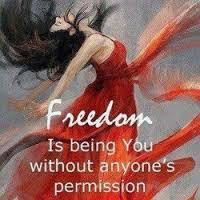 That day I let my spirit and freedom die a little bit, I turned down my self-expression, I changed myself and I stopped dancing. Today my partner and I were playing around, dancing and he remarked “you dance so much more now than we first got together.” I realized I was allowing myself to be free again, slowly unpacking my stifled self-expression and I was feeling safer. In reflection I regret the countless times I could have danced and opted to stand, the times I tapped my toes instead of sway my hips, the times i felt the music inside but kept my physical body in chains. Dancing is freedom, it is beautiful, it is fluid, it is exactly as its supposed to be. If I could do it over again, instead of changing myself I’d encourage her to come dance too, maybe she felt the need to drag me down because she was afraid of her own self-expression. Have you felt you’re here for a reason? Felt a tug to do something deeper? If you’re burning inside with a passion for something bigger than PROUD is for YOU.